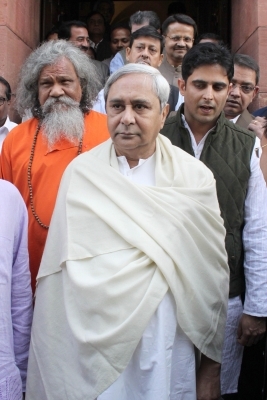 The monsoon session of the Odisha Assembly began with tributes to departed leaders on Thursday. As the House assembled for the session, Chief Minister Naveen Patnaik moved a condolence motion over the demise of sitting Congress legislator Subal Sahu, former legislator Sura Sethi and martyr constable Laxmikant Jani. Leader of Opposition Narasingha Mishra and Bharatiya Janata Party leader Pradip Purohit also paid tributes. The House observed a minute’s silence. Speaker Pradip Kumar Amat adjourned the House till Friday as a mark of respect to the late members of the assembly. The monsoon session will continue till September 16 during which the state government plans to table nine bills.